MAY - Puzzle Pattern Satin Diamond Cut Wedding Ring​ An exquisite piece of jewelry, this Men’s 7mm Puzzle Pattern Satin Diamond Cut Wedding Ring would make a wonderful wedding or eternity ring. 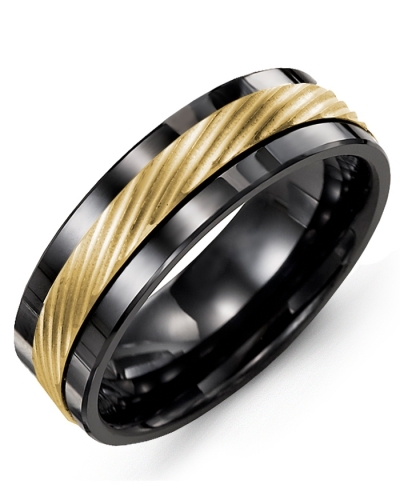 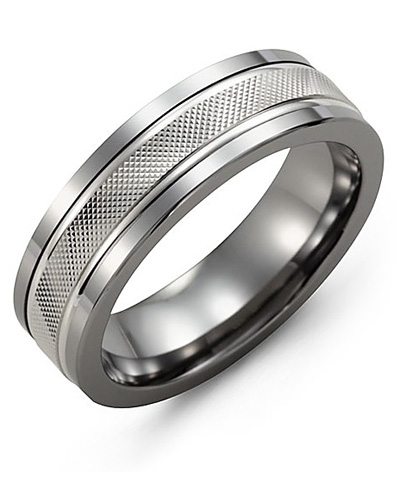 The polished cobalt ring, tungsten ring, or ceramic ring, features a yellow, white or rose gold insert that is diamond engraved with a unique weave pattern. 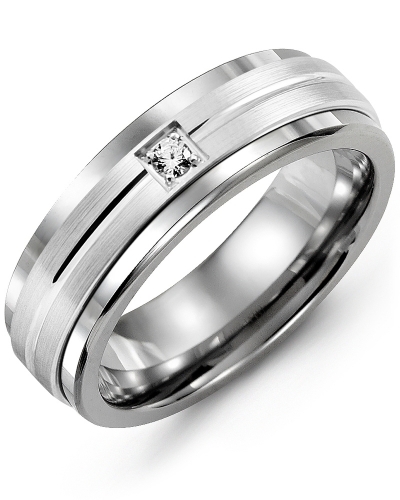 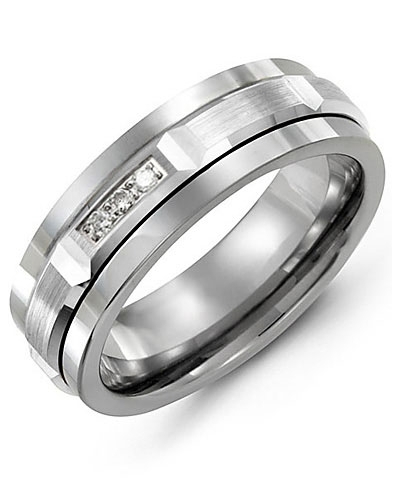 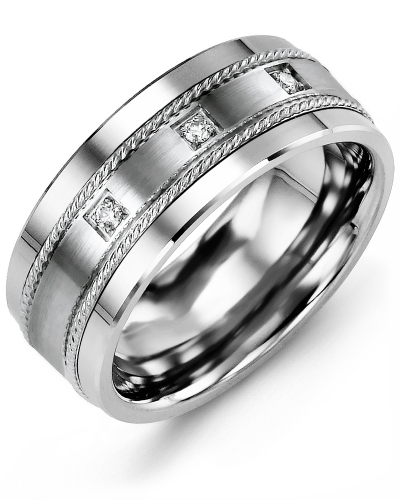 Available in 10kt, 14kt and 18kt options and both 9mm and 11mm widths, this ring for men can be personalized on the inside with a special date or initials. An exquisite piece of jewelry, this Men’s 7mm Puzzle Pattern Satin Diamond Cut Wedding Ring would make a wonderful wedding or eternity ring. The polished cobalt ring, tungsten ring, or ceramic ring, features a yellow, white or rose gold insert that is diamond engraved with a unique weave pattern. 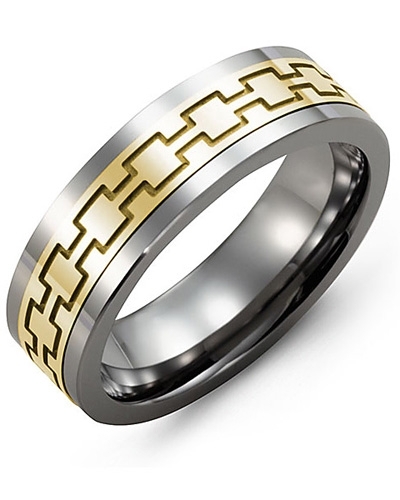 Available in 10kt, 14kt and 18kt options and both 9mm and 11mm widths, this ring for men can be personalized on the inside with a special date or initials.